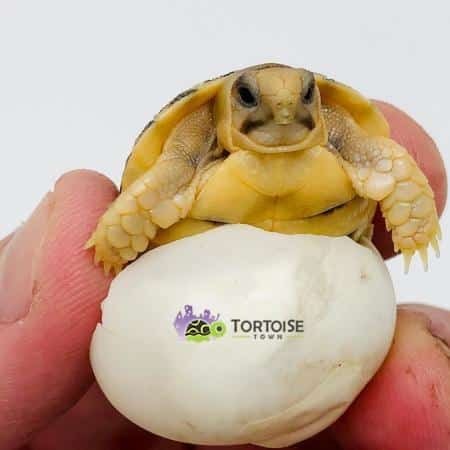 Egyptian tortoise breeder offering amazing baby egyptian tortoises for sale online including well started baby egyptian tortoise as well as egyptian tortoise hatchlings. Buy baby Kleinman tortoise for sale. 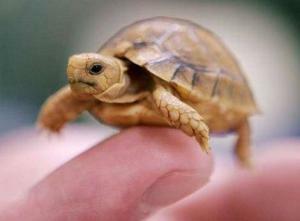 Kleinman’s tortoises for sale are some of the smallest tortoise for sale in the world. Egyptian tortoises are the smallest of all the testudo tortoises currently available from captive breeding here in the United States! One of our favorites, the Egyptian tortoise (Testudo kleinmanni), also called Kleinmann’s tortoise, was introduced to the pet trade 20 years ago. Historically found on the Southern boundary of the Mediterranean Sea on the north coast of Africa and the coastal Middle East. Most of all, its range extends between Libya and Southern Israel. Interstingly, it is reported to extend roughly 37 miles inland. Consquently, recent studies place populations farther inland and farther east than previously thought. Today, the Egyptian tortoise for sale is not only protected in Egypt. Also, it is protected by way of the Convention on International Trade in Endangered Species. Because it is listed in Appendix I. Due to this classification, which offers the greatest protection within the agreement the Egyptian tortoise is protected in the wild. In contrast, the only way to legally obtain an Egyptian tortoise is through a breeder in your country of origin. Because CITES permits are rarely issued for the transport of these tortoises across country boundaries, particularly in the case of the pet trade. As a result, so long as you find a captive breeder, you can purchase a baby Egyptian tortoise for sale online from anywhere in the US. Above all, the good news is that the tortoise is more frequently bred today than ever before. Consequently, the price has skyrocketed in the United States, with other countries getting similar prices. Likewise, they are still very hard to locate as they only have 1-2 babies per clutch. Also, since tortoise has become very popular in demand, it doesn’t mean production has not kept up with that demand. As a result of being so small, Egyptian tortoises are a little on the expensive side. For the reason that they only lay 1-2 eggs, they normally are available but with a waiting list from the Egyptian tortoise breeders. The Egyptian tortoise comes from a very harsh habitat consisting of sparsely vegetated, sandy soil. It can be very dry at times, with a range of 2 to 4 inches of rainfall per year and occasional coastal fog. The temperature averages 68 degrees Fahrenheit and varies between 54 to 86 degrees. Anyone interested in keeping Egyptian tortoises should be aware that hatchlings are very tiny and quite fragile. They hatch out at about the size of a dime. It is best to purchase one from a dealer or Egyptian tortoise breeder who has held onto the tortoise until it has had a chance to develop at least a few growth rings. Due to this fact, most responsible breeders prefer to sell well-started baby Egyptian tortoises for sale, to be sure the tortoise is growing and healthy. Choose the right Egyptian tortoise breeder offering healthy, captive bred baby Egyptian tortoises for sale. Before purchasing your new egyptian tortoise for sale online, find a reputable egyptian tortoise breeder, offering only captive bred egyptian tortoises for sale. Egyptian tortoises are some of the smallest of all tortoises. If you are looking for a small tortoise for sale, or a miniature tortoise for sale so to speak, this is it, Unfortunately, they are very rare, and only lay 1 egg per season, so do not expect them to be a cheap tortoise for sale! Testudo Kleinmanni – Described by Lortet in 1883 – has several common names: the Egyptian tortoise, the miniature tortoise and the Kleinmann tortoise. They are a coastal species, and are never found any more than 100km from the sea. These are some of the smallest species of all tortoises on earth, and make excellent pet tortoises, however due to their near extinction in the wild they nearly only exist in captive breeding programs, like ours. That being said, these cute little golden dinosaurs only produce 1 egg per female, per year, and therefore are pricey. If you are looking for the rarest of the rare, and the smallest of the small, this is it. Keep hatchling care as simple as possible. One can be kept in a sweater or plastic shoebox. Substrate such as paper towel, cloth towel or indoor/outdoor carpeting is usually best for hatchlings to yearlings. A baby-food jar lid makes an excellent water bowl. The tortoise should be soaked on a daily basis, even if water is available. A hatchling’s diet is very important, and improper diet is usually the reason for baby Egyptian tortoise death. The diet should consist of dark, leafy greens, such as dandelion greens and plantain greens. Any of the dark, leafy lettuce you can get at a grocery store can be used. Although there is no hard-and-fast rule, you can feed them daily or every other day. With a balanced diet, overfeeding is not much of a concern. Baby Egyptian tortoises for sale will only eat as much as they are able. Lastly, fruits, such as apples, pears and bananas, can be used sparingly. Feeding a small portion of fruits is ok, but only to be fed once or twice a week. Keep in mind that a varied diet is a key to good development for your new baby tortoise. Take care with the types of greens you select. Greens that are high in oxalic acid, such as rhubarb, chives, parsley and spinach, are exceptionally hazardous to Egyptian tortoises. Oxalic acid binds with calcium to form calcium oxalate. This not only reduces the available calcium, but the way the Egyptian tortoise kidney works, it concentrates the solid, which will lead to kidney or bladder stones. This has lead to the death of many Egyptian tortoises. There are quite a few pellet diets on the market that are nutritious and healthy, especially for Egyptian tortoises. I have found that the best are grain-based diets. By following the manufacturer’s instructions, with minor adjustments to account for individual metabolisms and the conditions under which they are kept, you’re almost guaranteed to raise a good-looking Egyptian tortoise. When using pellet diets, vitamin supplements are not necessary with the exception of the possible need for calcium carbonate. The diets contain D3 but not always enough calcium, and some individuals require more calcium than others. This little tortoise has unfortunately become very rare over the last couple of decades and is now bordering on extinction. Their natural range is limited to Northern Egypt, Western Negev, Israel and Northern Cyrenaica, Libya. Despite conservation efforts from groups such as The Tortoise Trust, it is still being exploited for the black market pet trade and tourist trades – often resulting in the deaths of animals to make a macabre musical instrument out of their carapaces. Now considered to be the rarest of all the testudo species, Kleinmann’s Tortoises have been granted the highest CITIES protection of Appendix 1 due to extensive habitat destruction and over-collection. Researchers working with this species have designated it to be on the fast track for extinction – calling for urgent measures to be taken to save it. Heat and lighting become the next point of concern. The accepted temperature range for babies is 75 to 85 degrees. This needs to be done carefully because the tortoise can be easily dehydrated or cooked if the proper lighting is not used. UVB lamps provide the essential ultraviolet light a tortoise needs to metabolize calcium for bone development along with other bodily functions. However, with the use of pellet diets, this is not always necessary, because all of the popular pellet diets contain vitamin D3. This makes selecting a lamp for a hatchling easier because a lower-wattage lamp can be used. Another option is the use of UVB fluorescent tubes and an incandescent lamp for heat. An underside heat mat is yet another option as long as the heat is not trapped and a rheostat is used. Egyptian tortoises can reach adult size in four years, but they typically reach adult size in seven to 10 years. As they grow, their enclosure and environment should grow with them. The best indoor enclosure for adult Egyptian tortoises is a tortoise table, which is nothing more than a setup measuring 2 feet long, 2 feet wide and 2 feet tall. This would comfortably house a pair of adults. The size can always be larger, but this is a minimum. Substrate can be anything from a sand/soil mixture to sand or soil by itself. Some keepers have had good success using crushed oyster shell or aspen bedding. The tortoises do not burrow, so 2 to 3 inches of substrate is enough. Deeper substrate, around 5 inches, should be provided for nesting adults. The rest of the adult care is identical to the hatchling care stated previously, except that the temperature range can go as high as 90 degrees on the warm end of the enclosure. Remember when searching for any tortoises for sale, including a new baby tortoise for sale, tortoise town is your source for the best tortoise for sale, baby tortoises for sale , baby turtles for sale, and adult turtles for sale of any turtle store anywhere including a huge aquatic turtles for sale section. If you are interested in tortoise care, please visit our care section. Some of the above information was written by Ed J Pirog, one of the most experienced tortoise keepers in the United States and possibly the world. We appreciate Ed’s knowledge and love for the species as well as the work he does to educate tortoise keepers and breeders on proper care and husbandry through his efforts and actions in the tortoise community.